This was edited and printed in our 50th Homecoming bulletin. Information came from earlier homecoming bulletins. The author (if known) has been listed. No changes were made other than formatting and punctuation. 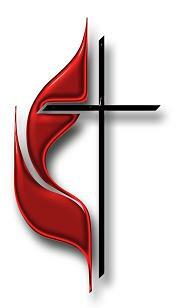 Additional information on pastors list from Louise Buckner and Steve Carson. The history of Barnardsville Methodist Church covers a long period of years. no person now living knows when the first Methodist congregation at Barnardsville was organized. no records are available for filing a correct date for this organization. however, I have certain facts which were handed down to me by my parents and others who were connected with the old church. From these facts we know that the first building stood on a lot adjacent to North Fork Creek in the town of Barnardsville. this was a two-story, used not only as a church, but sometimes housed the community school. At that time the name of the church was Big Ivy, and the pastor in the year 1879 was the Rev. Jacob R. Payne. The Barnardsville congregation was one of those on the Weaverville Circuit of the Holston Conference, M.E. Church South. among the list of pastors serving during this period were Rev. Wm. Brownlow Lyda, Rev. W.P. Doane, and Rev. L.H. Haynes. In 1890 came the organization of the Western North Carolina Conference, M.E. Church South. the Barnardsville congregation was placed on the• Ivy Circuit and the Rev. Ebenezer Myers was pastor for a period of two years . Other pastors of Barnardsville church during the period from 1892 to 1902 were: Revs. D.R. Proffitt, V.L. Marsh, W.B. Lyda, J.B. Hyder, J .A.J.Farrington, and A.W. Jacobs . In the spring of 1899 the North Fork Creek undermined the north end of the church building, and the congregation had to hold services in the Barnardsville school building, the later in the Free Will Baptist Church. The situation demanded that• a building program be launched and in 1905 , under the pastorate of Rev. J.B . Hyder the building program was completed. the Barnardsville church that year was host to the district conference, and on Sunday, July 23, 1905, at the close of conference the church was dedicated, with the presiding elder, Rev. A.W. Plyler in charge. Pastors who served during this period were : Revs. D.R. Proffitt, S.C.Neill , W.L. Edwards , G.M. Keever, T.J. Huggins , J.R. Warren, M.W.Dargan, A.J. Burris, L.T.Cordell, W.A. Kale, H.R. Cornelius, J.H. Green ,J.M. Green, O.B. Mitchell , A.B. Dennis, J.R . Duncan, H.B. RInger, L.W. Hall, and perhaps others. The present Barnardsville United Methodist Church was organized on May 27, 1962, at 11:00 A.M. in the Barnardsville School House. Organization was under the leadership of The Rev. Robert G. Tuttle, Asheville District Supt., The Rev. Boyce Huffstetler, Pastor, and The Rev. J. E.B. Houser, Assoc. Pastor. The Church was organized with twenty- five charter members. Mr. Henry C. McDonald was employed to draw the plans for the new building, which would be located on a site purchased from Mr. and Mrs. Paul Ledford, by the Asheville District Mission Society on October 23 , 1961. On approval of the architect’s plans, the building was contracted. to C. E. Cochran Construction Company and construction was begun April 15, 1963. This building was constructed by faith and the sacrifice of the members of the Barnardsville United Methodist Church . We are grateful to the fine leadership of the Asheville District Mission Society for making it possible to begin this project. We are indebted to the Western North Carolina Methodist Conference Board of Missions and Church Extension, to the Duke Endowment of North Carolina, to the Division of National Missions of The Board of Missions of the United Methodist Church , and to the Conference Builder’s Club for their generous support of this work. 1962-1967 Rev. Enoch G. Ball, Jr.